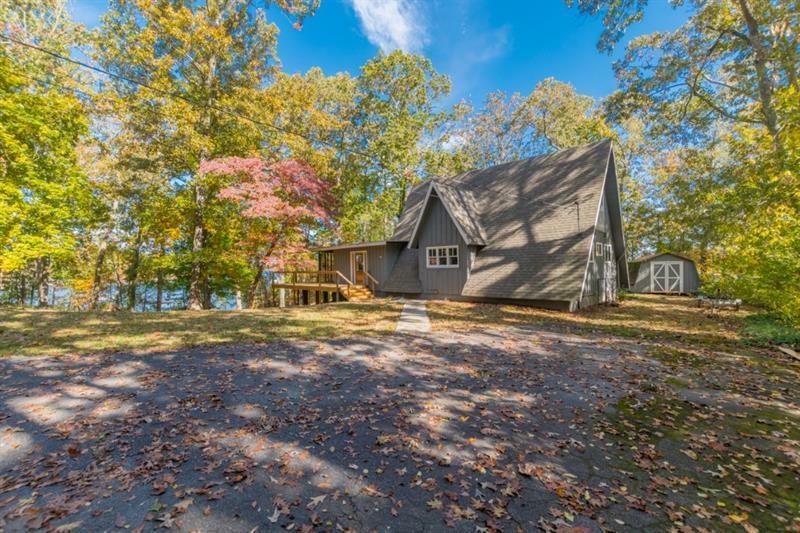 Come see this open plan A-frame and make it the lake-front home of your dreams! 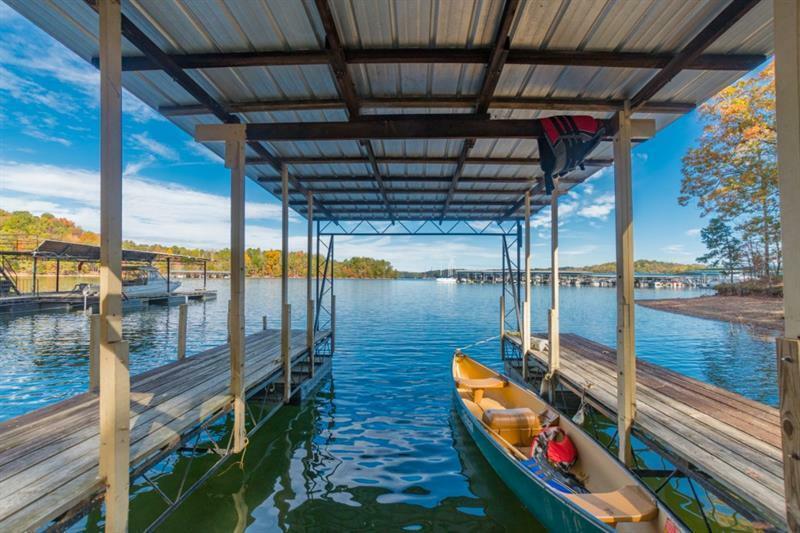 The home boasts captivating views of Lake Lanier from three sides on a beautiful, level lot. 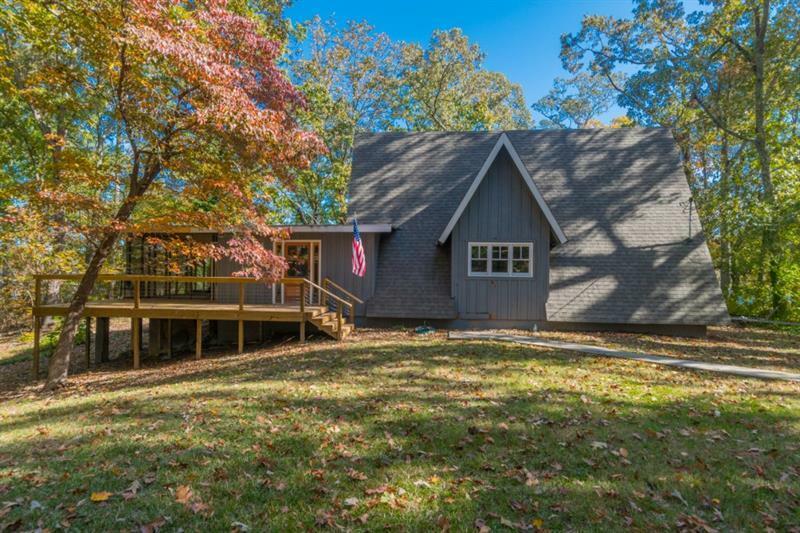 A newly added front deck, permitted deep-water dock, screened in porch, and fire pit in back provide exquisite outdoor living spaces. 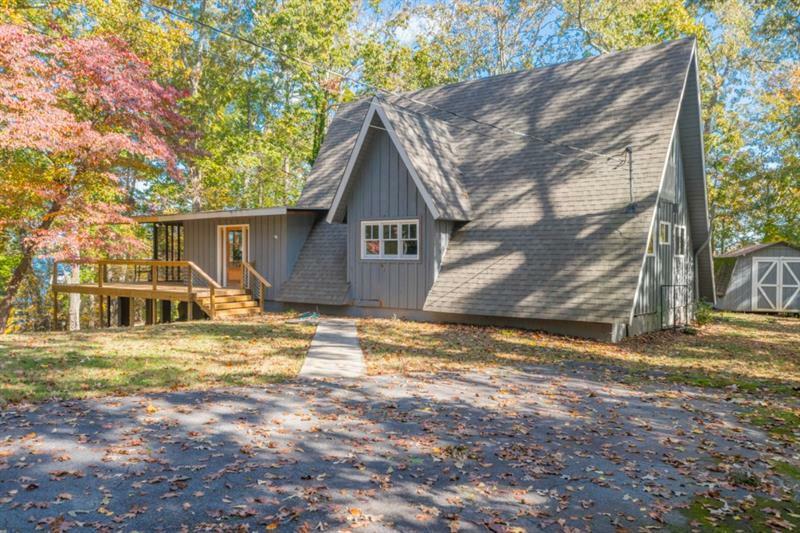 Walk into the open, recently updated living area featuring a beautiful stone fireplace. Upstairs, the loft-style bedroom has original pine flooring and the best lake views in the house. Don't miss this great opportunity before summer arrives!